See the 1.8.12 Upgrade Guide for a list of changes that may affect you when upgrading from 1.8.11. For full details on what’s included in this release see the 1.8.12 Changelog. Thanks to all who helped with this release, specifically: aperitero, Bluff, chris.rohr, danwellman, fofanafi, Giovanni Giacobbi, jimconte, joern.zaefferer, kabel, Kyle Florence, Ralph Whitbeck, Richard Worth, Scott González, toebens, tyron. 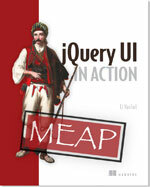 If you have feedback on us doing our twelfth maintenance release for jQuery UI 1.8, feel free to leave a comment below. Thank you. I hope this will be fixed soon ! There was a problem with one of the servers during the deployment, which was causing intermittent download failures. This should be fixed now. Unable to download themes, getting a 0KB zip file….Not yet corrected.. I am also having a problem downloading. The file that gets downloaded appears to be corrupt. I am attempting to open it in WinRAR. The message I’m getting is “Unexpected end of archive” when opening the zip. I can see the development-bundle folder and the index.html when I attempt to view the contents of any of the files, I get “The archive is either in unknown format or damaged”. I hope this help you troubleshoot the problem. 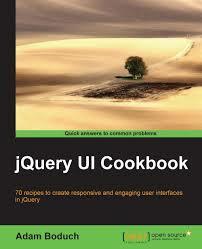 where can i find out what browsers jQuery UI support? I’m having problems with both firefox 4 and IE 9. Hi, any idea when new features / 1.9 stable comes ? Jquery UI is great, but it takes ages to get it complete and consider using it as a default ui js library such as ExtJS or qooxdoo. On the other hand, jqueryMobile is getting more attention and grows ten times faster, that’s a pain. Don’t get wrong on my position, I know we are talking about an opensource project and it’s difficult to get resources, but it is now more or less 2 years I see “tooltip” > coming soon and I really beg if jqueryUI is not loosing timeline war by providing good solutions to common problems too late. Sure the maintenance work is great, but missing pieces should come very soon to meet interest and success in the community. Any idea when 1.9 is going to drop?